Ok today is day 1 of the fake Gastric Bypass surgery, and so far I'm feeling pretty good. I spent quite a bit of time yesterday cleaning out all of my cabinets of food I know I cannot eat, just to reduce the risk of cheating. I spent the rest of the day yesterday eating. I actually ate enough to make me a little sick but it was so worth it knowing that I would not have anything good or filling to eat for the next 6 weeks. I have taken some before photos for you but have to get them uploaded but they should be up today for you. I am hoping to take pictures throughout the process but as you all know I am not the best at taking pictures. And by the way I think this is the first time I have ever posted my weight on here. It is actually my feet on the scale this morning. 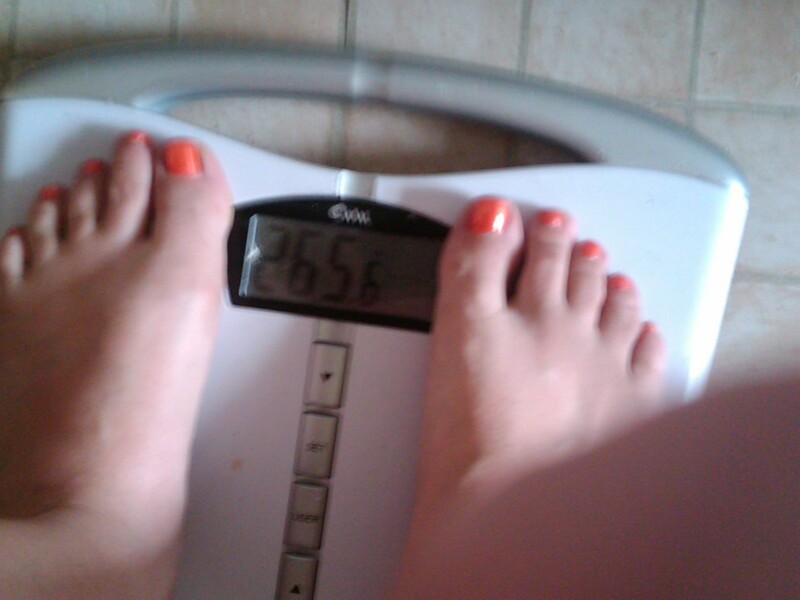 I know the picture is not great but this morning I weighted in at 265.6. I will try to figure out how to make that picture turn out better. I was up a few pounds this morning but that's alright with me, just more pounds to lose!!! I have really high hopes for this experiment. I am very interested in this experiment! I have argued the same thing for years. I have too many friends that have had gastric bypass and years later have nutrition and other issues. I am soooo wondering how this is going to go! !